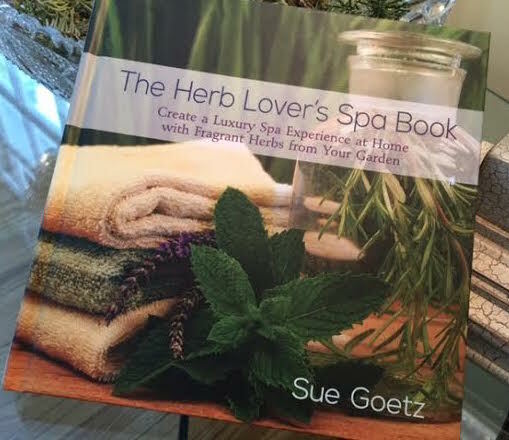 In the middle of a hard winter I couldn’t ask for a better pick-me-up than The Herb Lover’s Spa Book by Sue Goetz, just published by St. Lynn’s Press. This is a little gem of a book. Looking at the photos and skimming through the recipes for facial steams and oatmeal soaks and lavender heat pillows while the snow fell outside my window was a spa experience in and of itself. 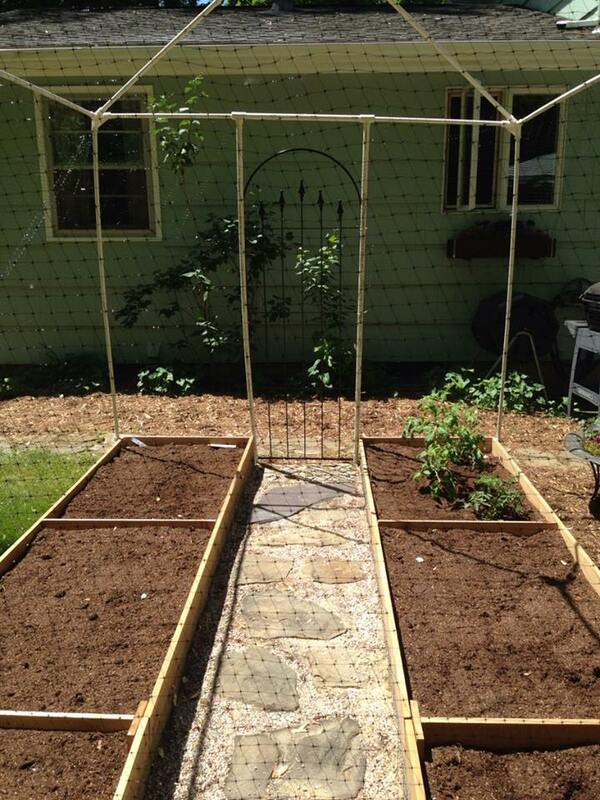 I grow the standard kitchen garden herbs and I love cooking with them. 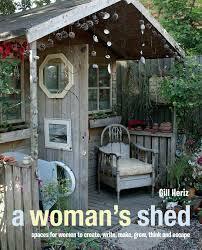 Now Sue Goetz has inspired me to try out recipes for herbal preparations that heal, sooth, relax, and refresh. I’d been making a list of seeds to order for this year’s garden, and I’ll have to expand it to include new-to-me herbs like lemon balm and lemon verbena, scented geranium and camomile. I want to try the recipes and the end products myself, of course, and if all goes well, when holiday time rolls around I’ll have homegrown, handmade gifts to give family and friends. A well-known garden designer, writer, and speaker from Washington State, Sue Goetz packs a lot of information into this little book, and her passion for using herbs in the home for pleasurable and nurturing spa experiences shines on every page. 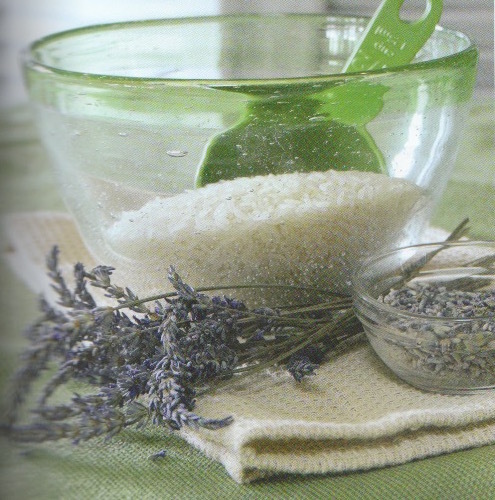 The Herb Lover’s Spa Book has three parts: Surround, Grow, and Create. 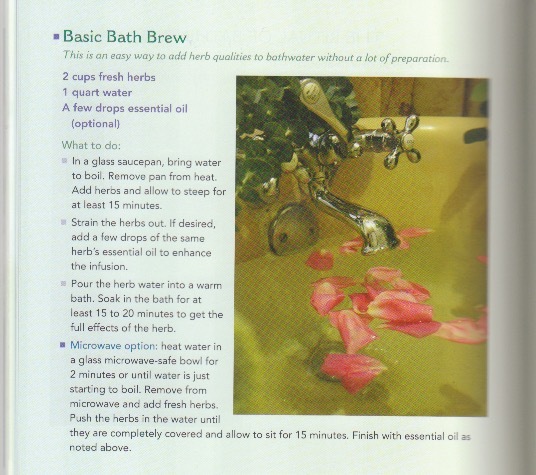 You can enjoy the herbal preparations you’ll learn to make in this book in your very own private spa. Sue shows how you can create a retreat in your own home, indoors or outdoors, where you can read, relax, soak, sleep, or meditate. She suggests designs, colors, and textures conducive to rest and relaxation, whether in a garden or in a favorite indoor space. You’ll find information about nineteen of the most common and popular herbs used for skin treatments and teas and infusions, including lavender, hops, dandelion, eucalyptus, sage, parsley, witch hazel, and thyme. 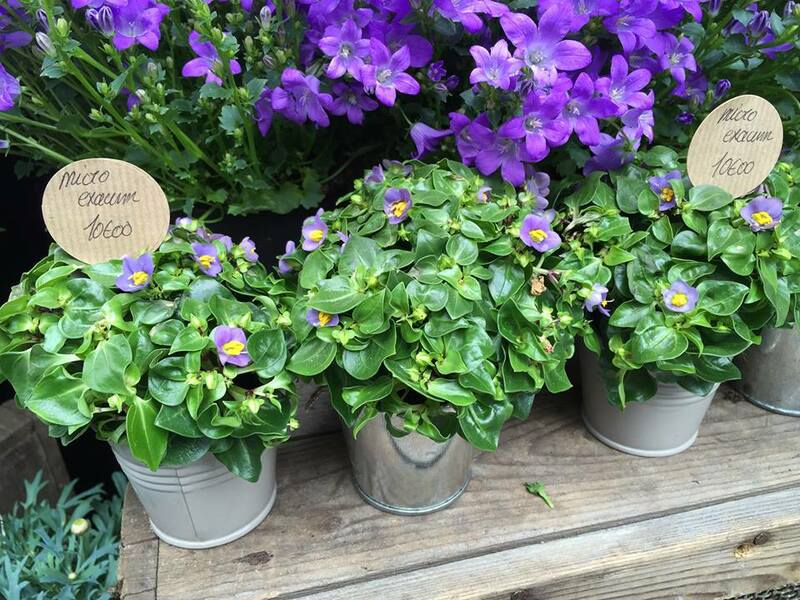 Sue includes growing tips, healing properties, and suitable varieties for each herb, a list of seasonal herb garden tasks, and tips for harvesting and preserving. 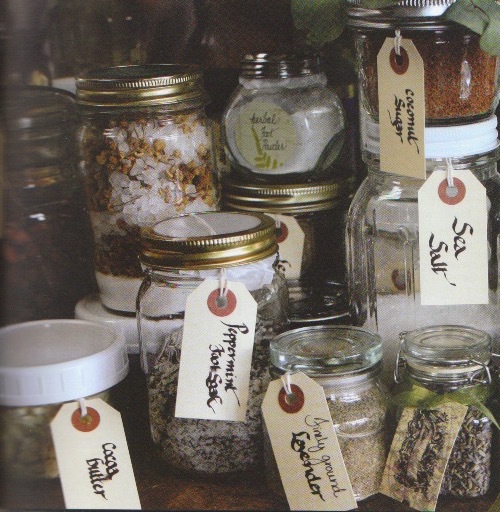 In addition to over 50 herbal recipes, Sue provides information about sourcing and working with common ingredients and materials such as beeswax, baking soda, essential oils, epsom salt, ginger root and jojoba oil. I loved leafing through the recipes. I didn’t know there are so many varieties of bath brews, each with its own effects. For a relaxing bath you can use chamomile, hops, and lavender. 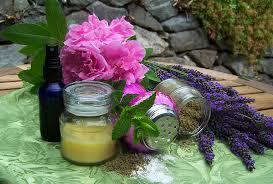 For a stimulating bath, try eucalyptus, lemon balm, mint, rosemary, sage, or thyme. For a healing bath, use calendula, lavender, lemon verbena, parsley, or spearmint. First on my list of recipes I’d like to try is the Inspiration Bath. When you want to get your creativity flowing, put some calendula petals in a muslin sachet or directly into a warm bath, and add 6 drops each of lavender essential oil and rose essential oil. Scroll down to the bottom of this post to see the complete recipe for Sue’s Basic Bath Brew. Other tempting concoctions: Peppermint Foot Soak, Midsummer’s Eve Floral Garden Water, Dusty Rose Body Powder, Winter Warming Steam, Chamomile Eye Soothers, Rosewater Cream, and Floral Water Skin Brightener. 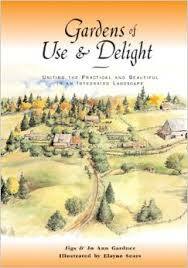 Sue includes fascinating tidbits about historical aspects of the spa experience and herbal pharmacopoeia. I’d never heard of a stillroom, for example – a special room in homes of the early American colonies set aside to prepare household products from the garden. Sue says the lost art of the stillroom is coming back, and she encourages us to find a special space in our modern homes where we can store ingredients and experiment with herbal remedies. I like that a glossary of commonly used terms is included at the end of the book, as well as a list of resources, including places to purchase herbs, oils, packaging materials, plants, and seeds. I’m so impressed with St. Lynn’s collection of how-to gardening books. 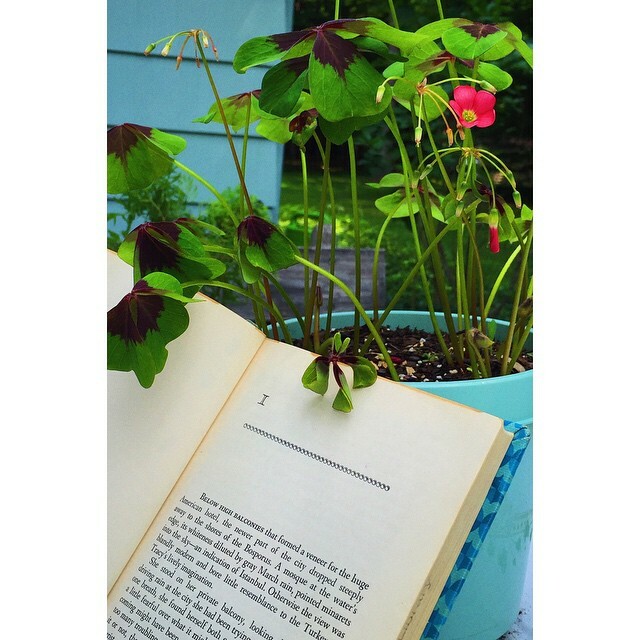 I’ve written about a couple of other St. Lynn’s titles here at Books Can Save a Life: Debra Prinzing’s Slow Flowers and Nancy Ross Hugo’s Windowsill Art. I have a soft spot in my heart for small, inspired publishers with a strong sense of values and a well defined mission – I was an editor for such a publisher eons ago at the beginning of my career. 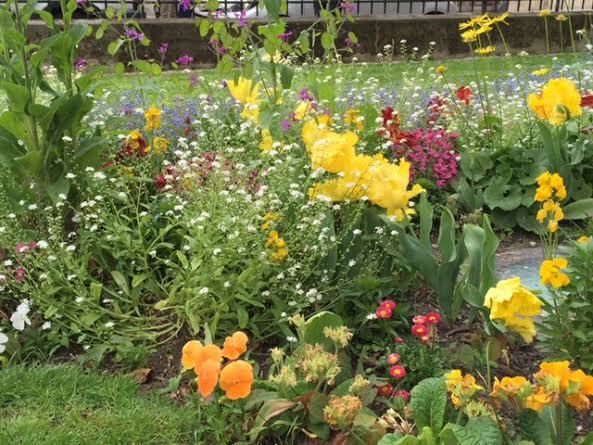 I like St. Lynn’s because they make gardening so inviting and accessible to those of us who are beginners, and because they are strongly committed to ecology and our planet. 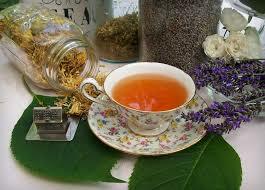 Do you make herbal preparations from your garden? If so, I’d love to hear about them, as well as books you recommend for those of us who want to learn more. 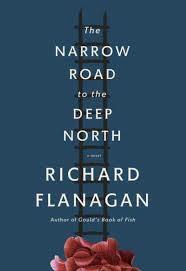 The Narrow Road to the Deep North, by Richard Flanagan. 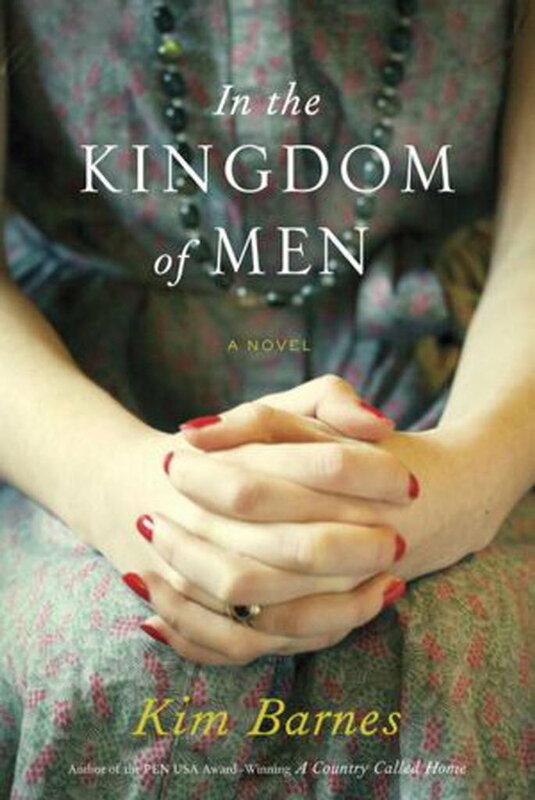 This World War II novel about an Australian surgeon in a Japanese POW camp won the 2014 Man Booker Prize. (The purpose of this UK prize is to bring quality fiction to intelligent general readers who might otherwise not hear about the work.) The prisoners helped build what became known as the Thailand-Burma Death Railway. The books is named after one of the most famous books in Japanese literature, written by the 17th century Japanese poet Matsuo Basho. I plan to read the books together. I’ll let you know how that works out. 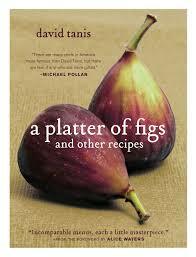 A Platter of Figs and Other Recipes, by David Tanis I like this cookbook because it’s about eating with the seasons, and it features uncomplicated family meals you can easily make at home. 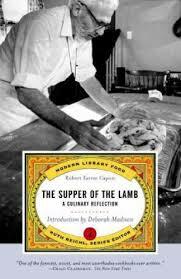 Sections include “How to Cook a Rabbit,” “Feeling Italian,” “Nuevo Mexico,” “Peasant from a Parisian Kitchen,” and “Hot Day, Cold Chicken.” David Tanis is the head chef at Chez Panisse in Berkeley six months of the year; the other six months he lives in Paris, where he prepares meals in a tiny galley kitchen for his private dining club. 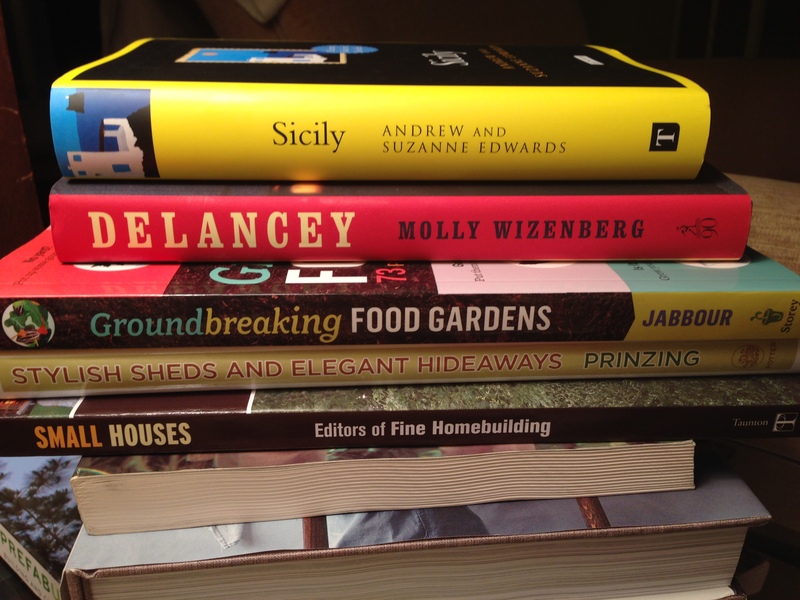 I will read any cookbook affiliated with Alice Waters and Chez Panisse. 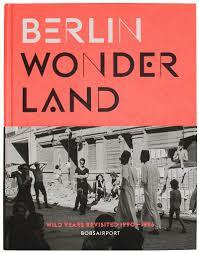 My son bought this book at Spoonbill & Sugartown Booksellers in Williamsburg. Cereal: Travel & Lifestyle Magazine, Vol. 8 Click on this link right now and visit Cereal, a stunningly photographed and designed magazine and online journal. This volume features, among other things, a section on Yukon, Canada with spreads on Kluane National Park & Reserve and the Demptster Highway which leads to the Arctic Circle. (Someone in the family has been to the Arctic Circle via the Dalton Highway.) This mag’s style and visual aesthetic reminded me of a cookbook and lifestyle book I received last Christmas, The Kinfolk Table: Recipes for Small Gatherings. 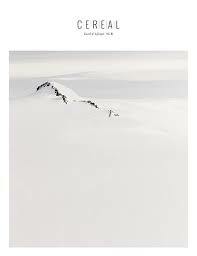 (Kinfolk is a magazine, too.) So I got out the book and saw there are a couple of recipes and a profile of food writer Rosa Park, who happens to be the editor of Cereal. Both Cereal and Kinfolk are beautifully designed and photographed, wonderful for browsing. 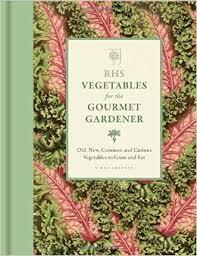 RHS Vegetables for the Gourmet Gardener, by Simon Akeroyd. 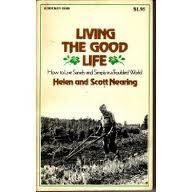 To feed my gardening habit and enrich my gardening and nature writing. 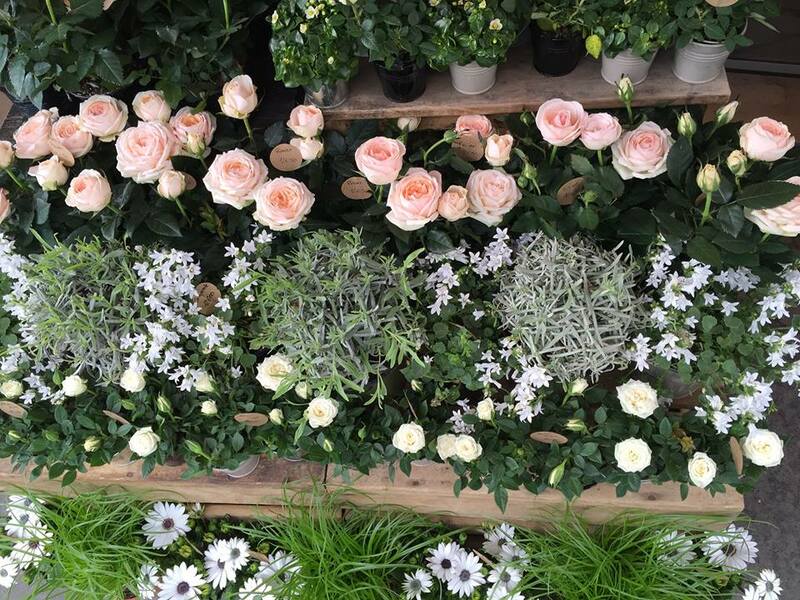 RHS stands for Royal Horticultural Society, the UK’s leading gardening charity. This beautiful book was designed and produced by Quid Publishing in England, the same publisher that produced another volume I own, RHS Latin for Gardeners. Our son purchased this at Daunt Books for Travellers in London. On the bookmark tucked inside: “The heart of Daunt Books is an original Edwardian bookshop with long oak galleries and graceful skylights. Its soul is the unique arrangement of books by country – where guides, novels, and nonfiction of all kinds will interest traveller and browser alike.” If I ever get to London this shop will be on my bookstore list. 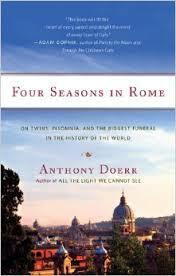 Four Seasons in Rome: On Twins, Insomnia, and the Biggest Funeral in the History of the World, by Anthony Doerr. 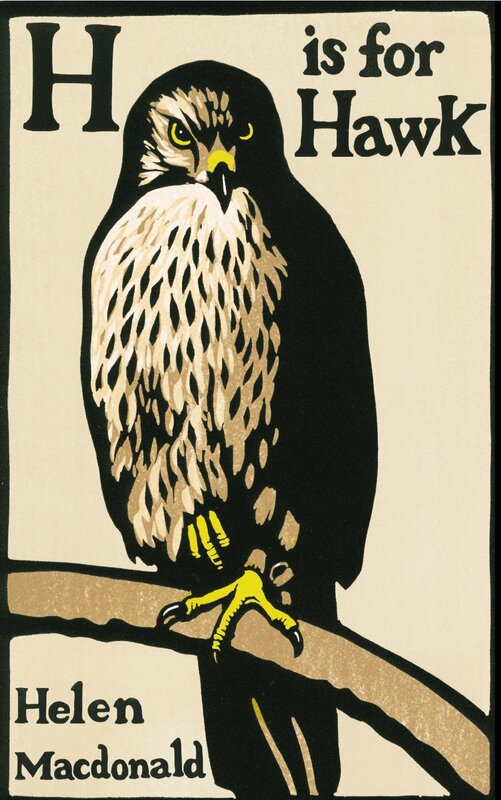 If you read my blog, you know I’ve been wild about Anthony Doerr lately. His novel, All the Light We Cannot See, was a National Book Award finalist and has become a bestseller. 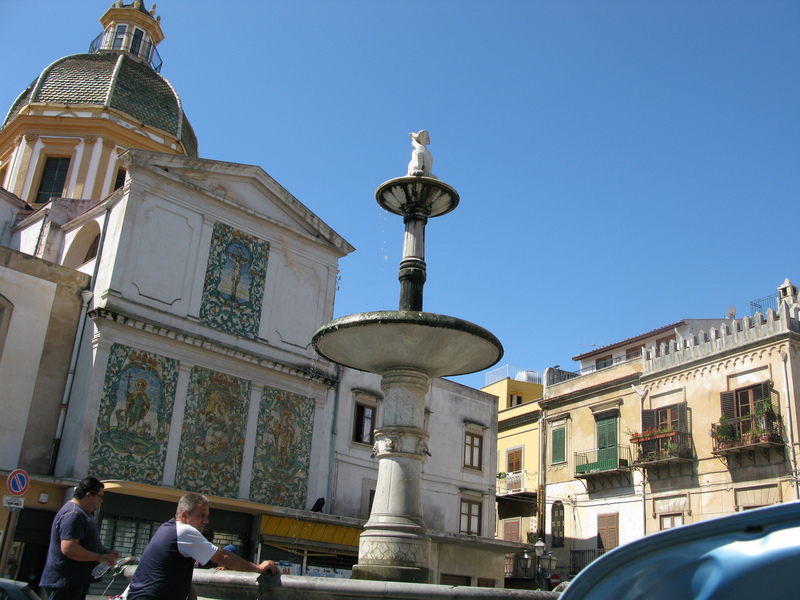 He happened to visit Rome when Pope John Paul II was dying and attended the vigil. I can’t wait to see Doerr’s take on this fabulous city. 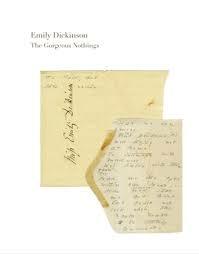 Emily Dickinson: The Gorgeous Nothings, by Marta Werner, a scholar of poetry, and Jen Bervin, a visual artist. No other book is quite like this one – a work of art, a facsimile publication of Emily Dickinson’s poems as she wrote them on fifty-two envelopes. These artifacts let the reader see Emily’s original line breaks and words spread across the entire space of a page, together with variant word lists that are meant to be part of the texts themselves. Reading these poems in their original medium, as opposed to in a traditional typeset book, is an entirely different experience. 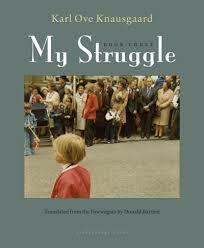 My Struggle, Book Three, by Karl Ove Knausgaard. My son has read the first two autobiographical novels in the hugely popular series (there are to be six!) 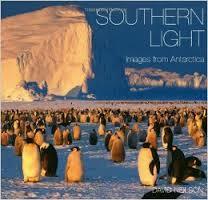 by the Norwegian author, published in 22 languages. I hope to tackle the first two volumes myself this year. Berlin Wonderland: Wild Years Revisited 1990 – 1996 Amazing photos by seven photographers documenting the wild, artistic subculture that bloomed after the Berlin Wall came down. 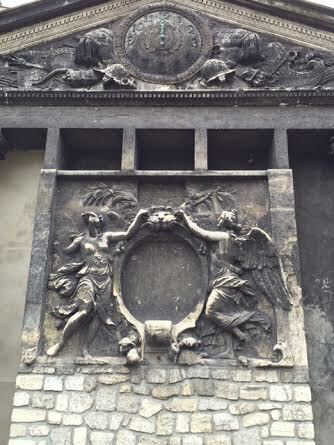 One of our sons is studying in Germany and bought this at Hundt Hammerstein in Berlin, a gift for the photographer in our family. The text is in English and German. 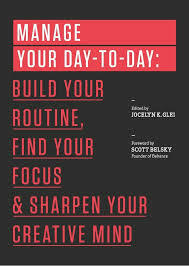 Manage Your Day-to-Day: Build Your Routine, Find Your Focus & Sharpen Your Creative Mind, edited by Jocelyn K. Glei. This is a great little book about how to meet creative goals and fulfill your calling rather than spend your days reacting to the demands of social media and new technology – a huge issue creative souls in the past did not have to deal with. Creative work, in the context of this book, can be anything from painting to starting a business to launching a volunteer effort or charity drive. I was inspired by Nancy Ross Hugo’s delightful new book, Windowsill Art, to create this for “In a Vase on Monday,” the blog series by Rambling in the Garden. 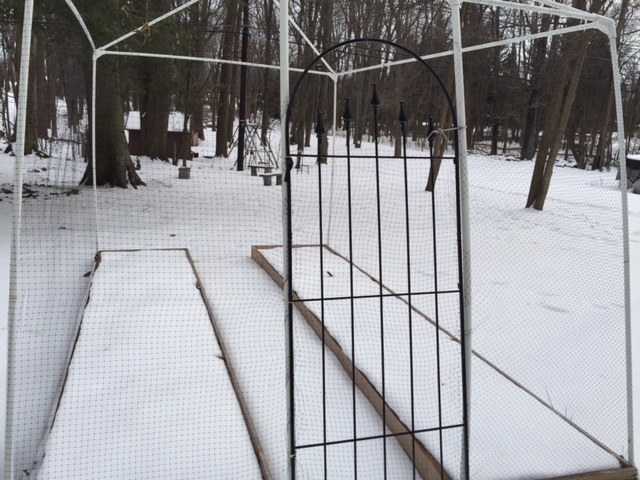 I used borage and pachysandra. 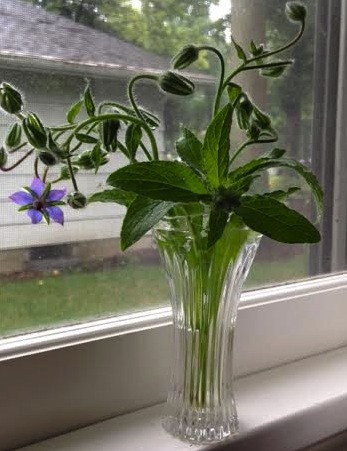 The borage blossoms had flopped over from heavy rain the night before, so I decided to snip them off and enjoy them indoors. 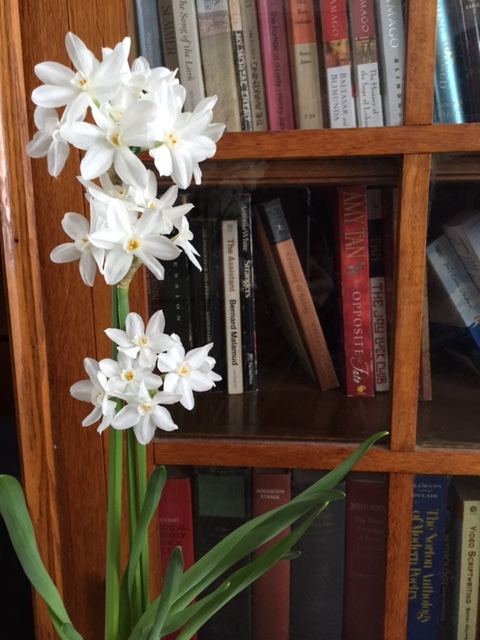 I wrote about flowers and flower-themed books this past summer to commemorate the Ohio floral shop I grew up in (we just sold the building where my parents had the business for some fifty years) and to chronicle a renewed desire to have more flowers in my life. When St. Lynn’s Press asked me to review their new book, Windowsill Art, by Nancy Ross Hugo, I was thrilled. 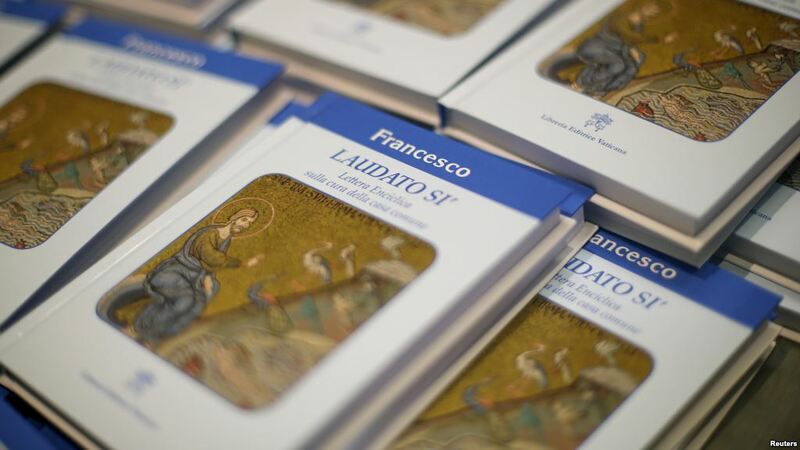 There is much, much more to this small, hand-sized book than meets the eye. 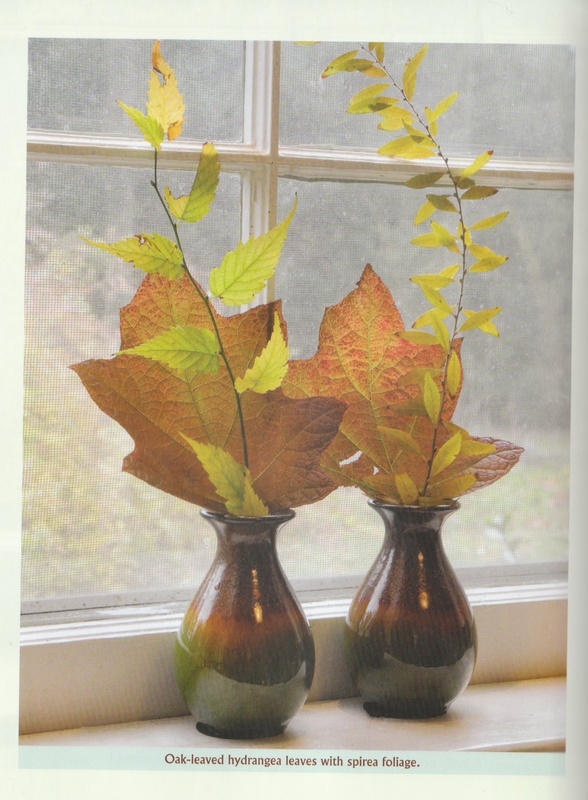 Windowsill Art is, first of all, about discovery: using seasonal blossoms and other easily accessible gifts of nature all around us – seedpods, cones, leaves, twigs, foliage, fruits, and vegetables – to make simple, striking designs we can display in the modest spaces of our windowsills. 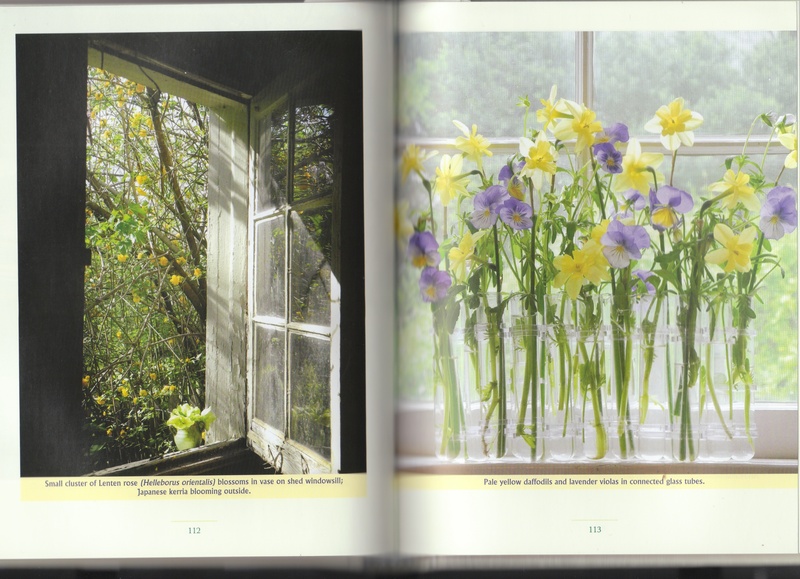 The author is a naturalist and floral designer who, for three years, created floral windowsill art every day and posted photographs of it on her blog, Windowsill Arranging: Creating Nature on the Windowsill. She learned that her work greatly increased her readers’ sense of artistic freedom: techniques and ideas they hadn’t thought of before opened up new creative paths and possibilities. 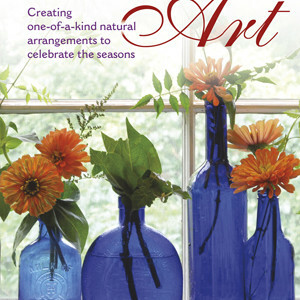 Hugo offers instruction in how to find plant material and choose containers; ways to explore the process, including combining and shuffling materials and letting arrangements evolve; and experimenting with styles and techniques. She is suggestive and encouraging; there are no hard and fast rules. Nancy wants you to feel artistically uninhibited, free to try new things. Windowsill Art is generously photographed, featuring a gallery of Nancy’s arrangements through all four seasons. You’ll want to keep Windowsill Art close to your work area for inspiration. April’s Lenten rose blossoms on the left, set against Japanese kerria blooming outdoors; daffodils and violas on the right. Windowsill Art features nature on the window ledge for every month and season. By Nancy Ross Hugo. Windowsill Art has inspired me to try some arrangements myself. I’ve noticed bits and pieces from nature in our yard I would have overlooked for use in an arrangement. We have a great deal of moss because of shade from our huge hemlock and beech trees, so I hope to use moss in my next arrangement. I’m expanding my collection of vases and containers, too. At a local dairy, I bought large and small glass bottles of milk and cream; the empty bottles are terrific vases. I recently put aside a small jug that was filled with maple syrup, as well as an empty balsamic vinegar decanter. 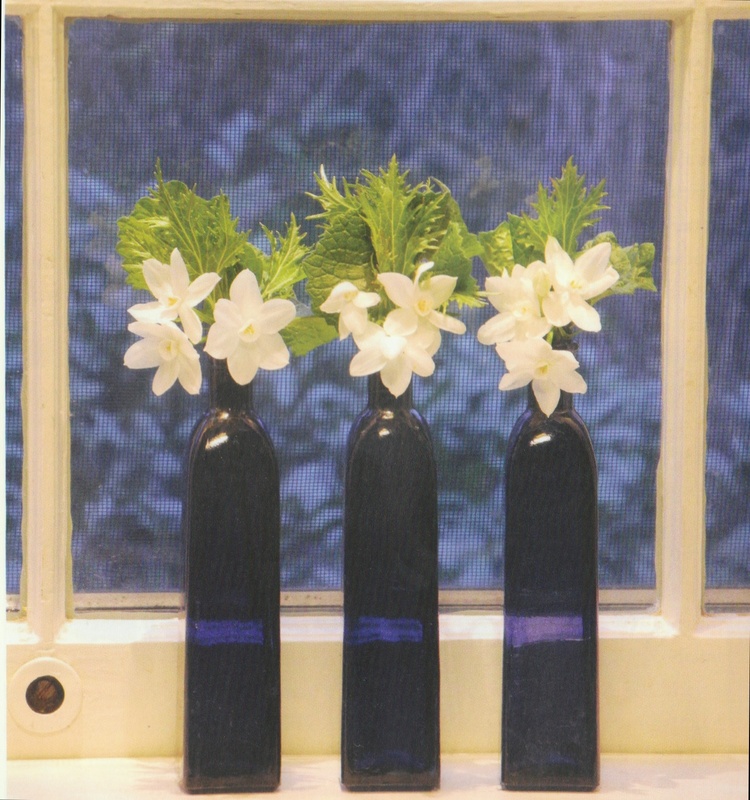 If you happen to participate in Rambling in the Garden’s “In a Vase on Monday” meme, consider trying windowsill art for your next creation. In The Language of Flowers, the main character, Victoria Jones, is a floral designer with a knack for choosing just the right foliage and blossoms for her customers, based on Victorian-inspired flower dictionaries that she’s studied. 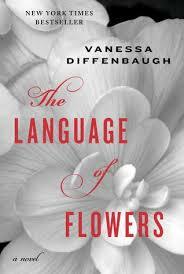 Having grown up in an Ohio floral shop, I was intrigued by the contemporary, upscale San Francisco flower scene depicted in Vanessa Diffenbaugh’s story. 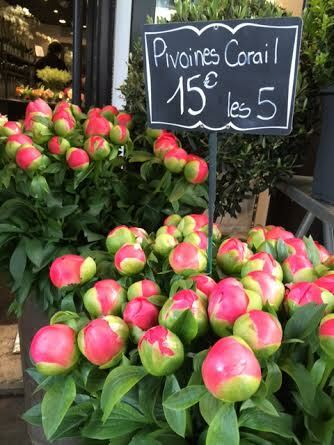 In the 1950s, 60s, and 70s, our shop carried the standard blooms – roses, carnations, gladiolas and the like – which were shipped from California and South America – and laden with pesticides, though at the time we didn’t give that much thought. 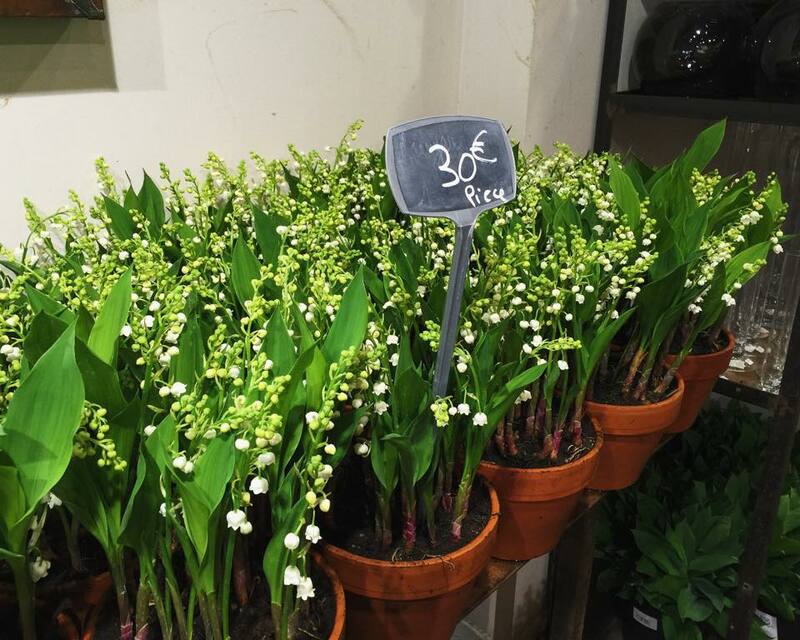 Nowadays, floral designers are artisans who use seasonal, locally grown, pesticide-free cultivated and wild flowers, in artful, natural-looking bouquets and arrangements. 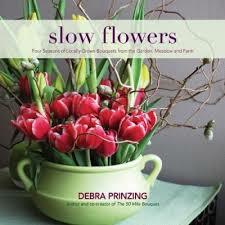 Writer and horticulture expert Debra Prinzing coined the term slow flowers, which has caught on in the floral industry. I’ve been enjoying two of her books, The 50 Mile Bouquet, and Slow Flowers: Four Seasons of Locally Grown Bouquets from the Garden, Meadow and Farm. They were a timely discovery for me, as this summer we sold the building where my parents had their floral shop for nearly fifty years. In both books, Debra highlights American flower farmers who are passionate about sustainable methods and land stewardship. 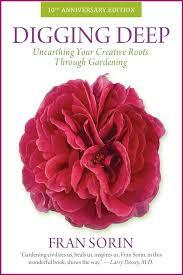 Slow Flowers is a colorful, lush, small-sized, book with flower arrangements for every week of the year. 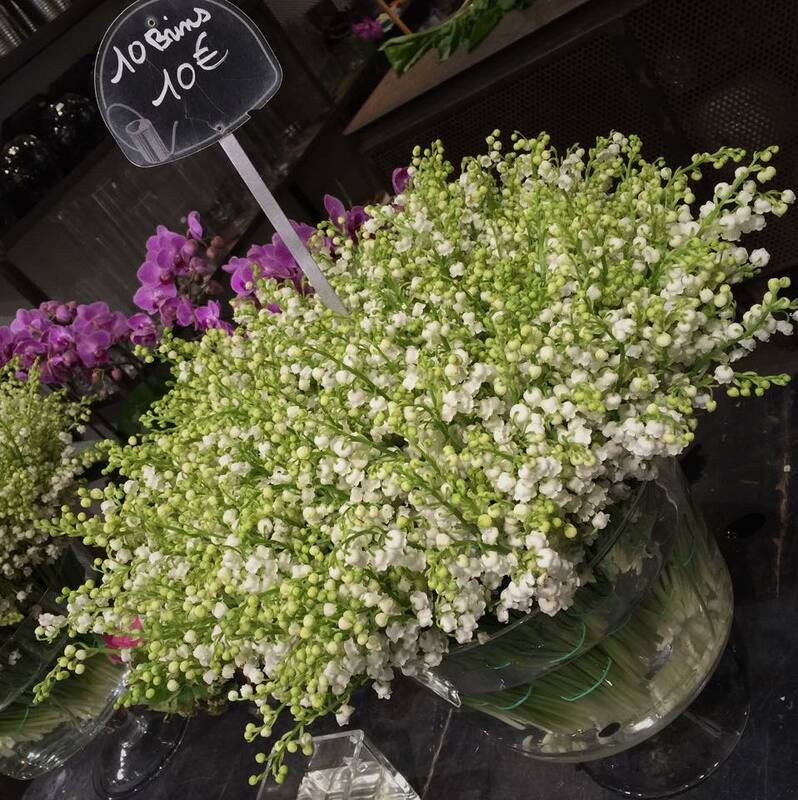 As in a cookbook, Debra lists the “ingredients” (4 stems hydrangea, 9 stems pink snowberry, 5 stems Dahlia ‘Nijinsky,’ 15 stems amaranth), provides instructions, and suggests vintage and unusual vases and containers. He withdrew a single orange tiger lily from a bucket. Flowers were part of my earliest days and inseparable from family life. 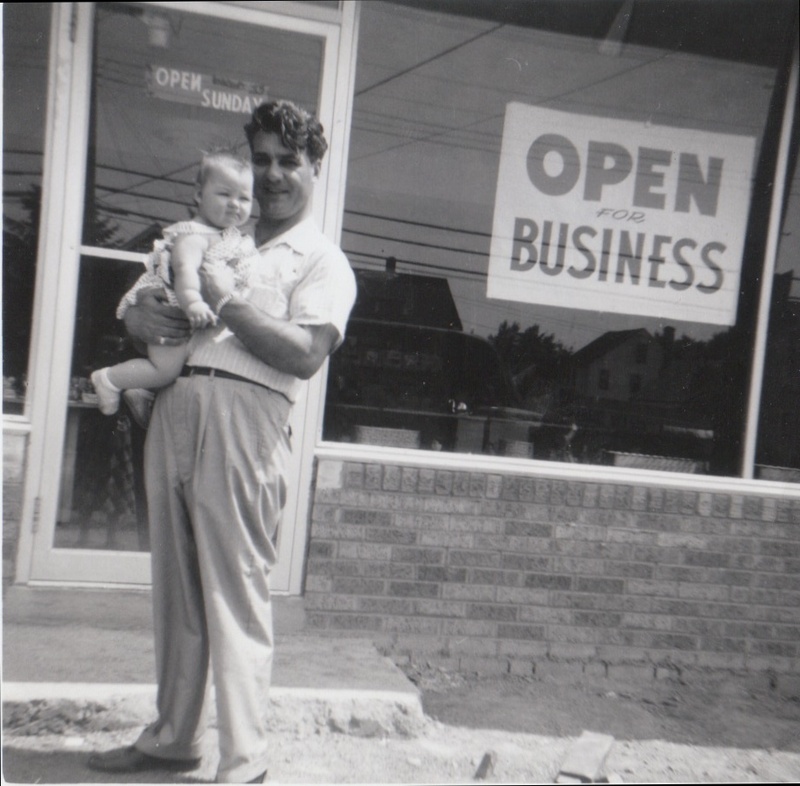 My parents opened a flower shop in July, 1952. This month, fifty-eight years later, we sold the building that housed our shop, though the floral business closed some years ago. I’m single but I don’t want to be, the woman said. She watched me work, arranging the white lilac around the roses until the red was no longer visible. I wound sprigs of rosemary–which I had learned at the library could mean commitment as well as remembrance–around the stem like a ribbon. The rosemary was young and supple, and did not break when I tied it in a knot. I added a white ribbon for support and wrapped the whole thing in brown paper. First emotions of love, true love, and commitment, I said, handing her the flowers. The character of Victoria Jones and her fate drew me to The Language of Flowers, as did the lush California landscape of flowers against which this story is set. Victoria has lived in more than 30 foster homes, and when she is emancipated at 18, she isn’t ready. It’s difficult to imagine any child emerging intact from our foster care system. I don’t know which was more heartbreaking, to see foster care let down Victoria time after time, or to see the ramifications of this in Victoria’s adult life. 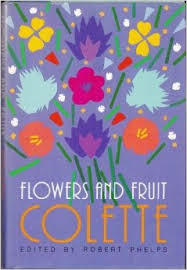 Victoria’s talent with flowers, which may ultimately be her salvation, is another dimension of the novel that intrigued me. 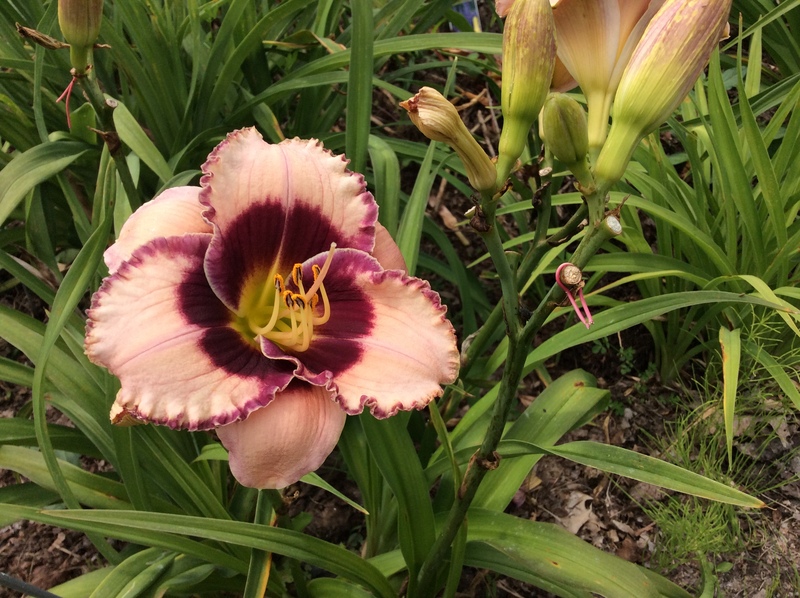 Her one kind and loving foster parent, Elizabeth, passed on to Victoria her floral “genius.” Victoria can not only artfully arrange flowers, she has a knack for giving people the particular flowers they need. 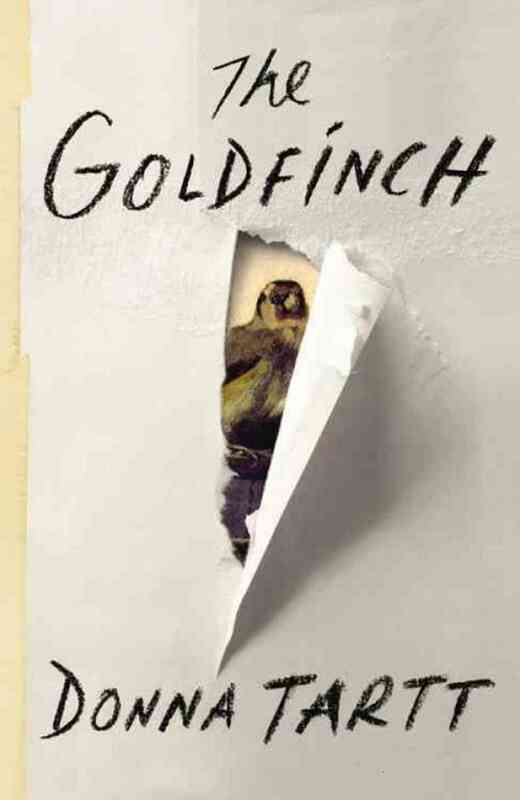 I loved this book and plan to read it again. Vanessa Diffenbaugh cofounded the Camellia Network to support youth transitioning from foster care to independence. The flower camellia means my destiny is in your hands. 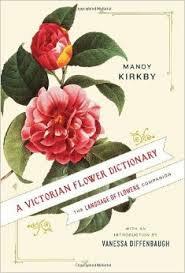 There is a companion volume to this novel, A Victorian Flower Dictionary, compiled by Mandy Kirkby. Neither of these books is to be confused with the classic Kate Greenaway’s Language of Flowers, first published in 1884. 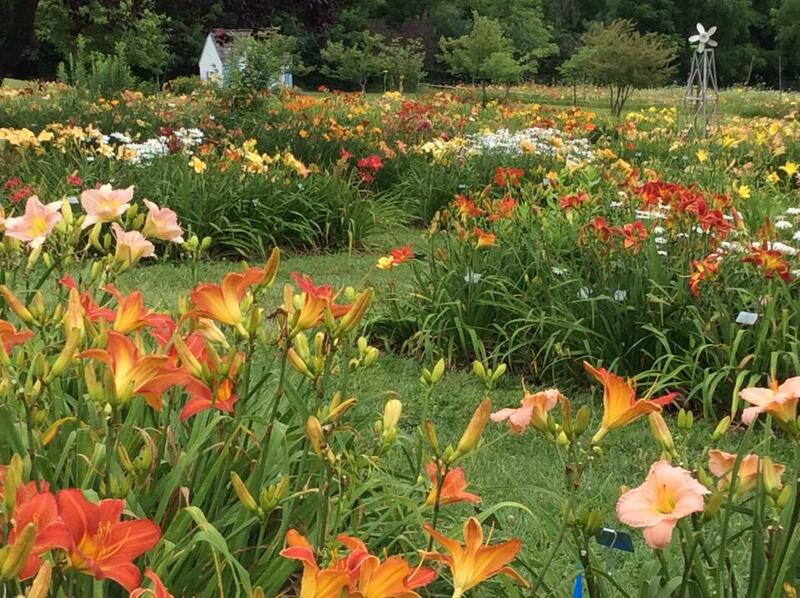 Hidden away in the woods on a hillside overlooking Seneca Lake in the Finger Lakes is a stunning collection of over 40,000 day lilies. 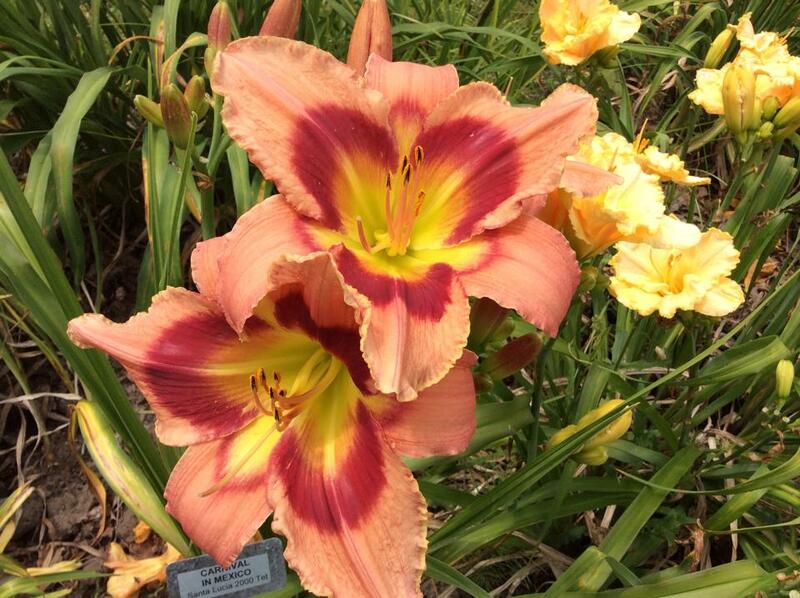 Grace Rood planted her first lilies in 1957, and now her son oversees Grace’s Garden. 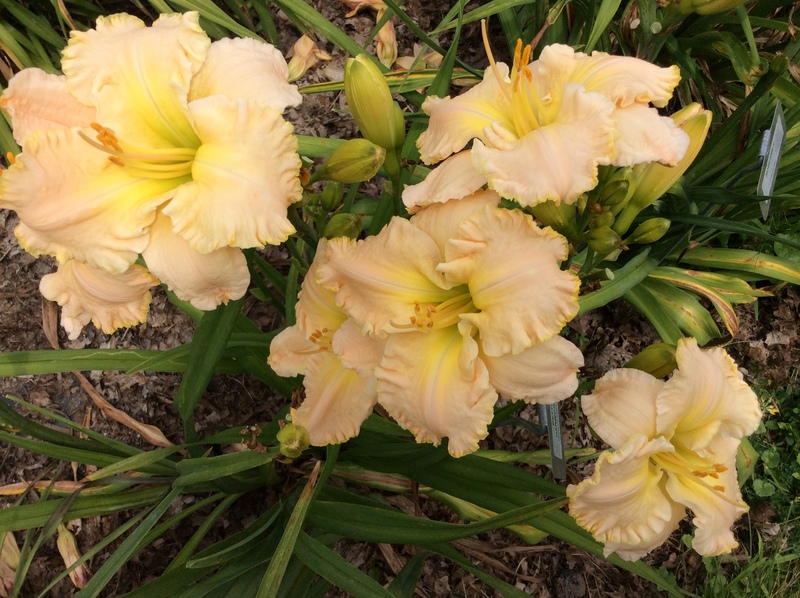 We visited the garden in mid July, when the day lilies were at their peak. 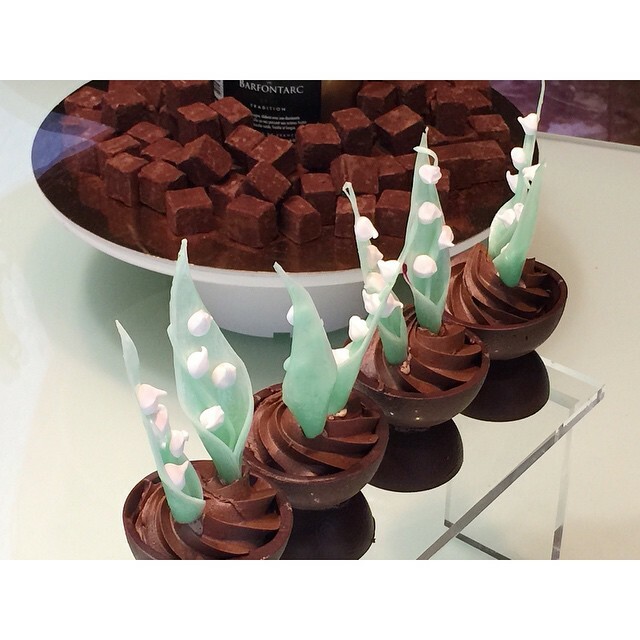 In the language of flowers, lily (Lilium) stands for majesty. A white lily stands for purity and sweetness. In Kate Greenaway’s dictionary, a day lily stands for coquetry. A passionate bouquet could consist of bird of paradise for magnificence, bougainvillea for passion, and lily for majesty. Doesn’t the secret language of flowers inspire you to make your own bouquet for someone you love? 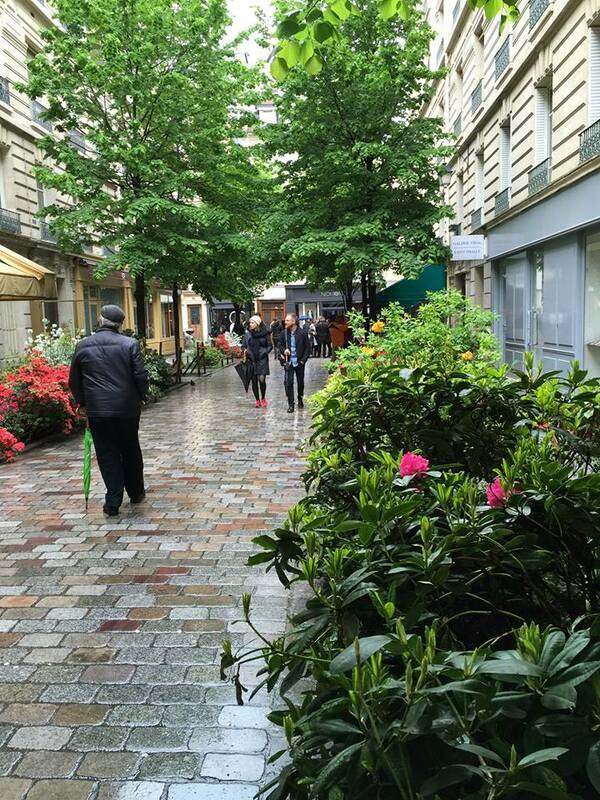 If you enjoy flowers, check out Rambling in the Garden, and join the “In a Vase on Monday” crowd. 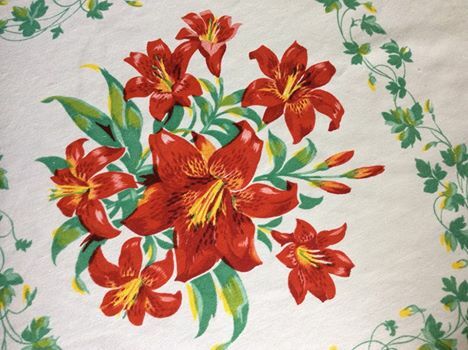 I found this lily-laden tablecloth in a Finger Lakes antique shop. Perfect for a summer picnic. 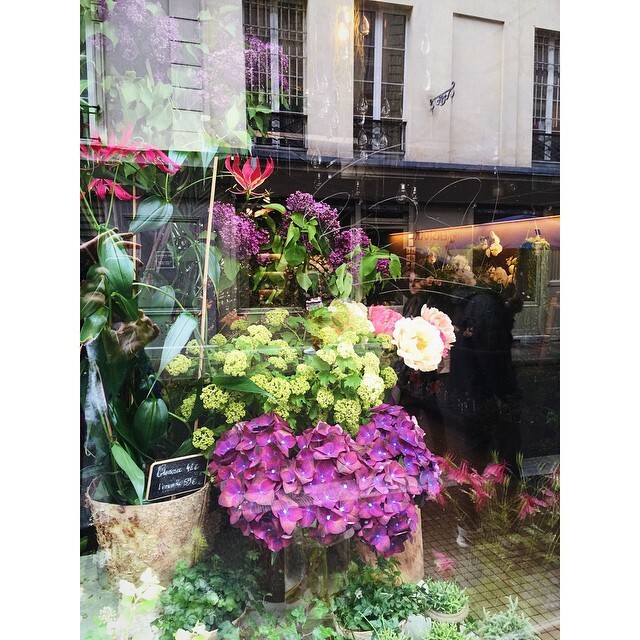 More flowers to come in my next post. 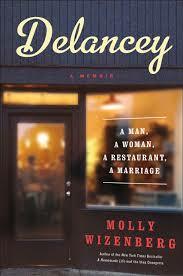 If you like food writing combined with memoir, you will like Molly Wizenberg and her latest, Delancey: A Man, A Woman, A Restaurant, A Marriage. The restaurant is in Seattle. Her first book, A Homemade Life, is a bestseller. 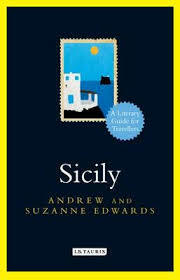 I bought Sicily: A Literary Guide for Travellers by Andrew and Suzanne Edwards for an upcoming trip – haven’t been there in seven years. 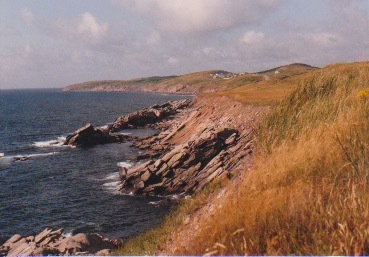 Many of the greatest writers were drawn to this island. Groundbreaking Food Gardens by Nikki Jabbour promises 73 plans that will change the way you grow your garden, such as: Slow Food Garden; Vintage Victory Garden; Edibles on a Patio; Heirloom Sampler; Formal Herb Garden; Eggs & Everything; and Living Walls.